After four years of following the idea of software satellite cities , the chain of the Quang Trung Software City ( QTSC) was formed with first members. In addition to the government’s decree for the pilot chain, the Ministry of Information and Communications issued a decision on organizational structure and operation regulation of the chain. The chain’s targeted to earn service turnover of VND15 billion to VND17 billion ($749,071) with IT workforce of 35,000-40,000. QTSC chain was established in 2000 when Ho Chi Minh City was qualified to pioneer in building smart economy and QTSC was verified as one of the city’s 12 major breakthroughs in the period 2001-2005. From the beginning, because QTSC operated as a business, it had advantage in attracting young and talented workforce. In the first days, there were 21 enterprises in the chain, 150 IT enterprises from developed countries such as Japan, Germany and the U.S joined the chain; five of which employing over 1,000 laborers. It has provided over 250 IT products , solutions and services for 20 nations, helping to turn it out to be one of the country’s most successful IT section. According to the report issued by advisory company KPMG Vietnam in May 2017, QTSC has been ranked 3rd out of 8 evaluated parks in Asia, based on the assessment of operational performance using indicators such as occupancy rate, quality of supporting services, on-site infrastructure, and such. The analysis has also placed QTSC 4th among its peers in terms of attractiveness of FDI, number of companies located in the park, concentration rate of IT sectors, quality of human resources, and such. Overall, QTSC stood out for its investment incentives, presence of tenants from various industries, and the sustainable growth of companies located in the park. The success of QTSC sparked building other software cities in the country in order to boost investment in IT sector and make most use of localities’ strength. “The government’s decision No.333 on March 3, 2016 on the pilot establishment of the software city chain is a historic decision for the IT sector. decision on establishment of Chain Management Council and on QTSC chain’s organizational structure and operation regulation ISSUED BY the Ministry of Information and Communications helped completing the mechanism paving the way for the chain’s development”, said QTSC general manger Lam Nguyen Hai Long. In its document, the Ministry also verifies the growth orientation that the chain will become symbol of Vietnam’s IT industry in the world map; moreover, by 2020, the chain has targeted to reach VND9-10 trillion and service turnover of VND15 billion to VND17 billion ($749,071) with IT workforce of 35,000-40,000. 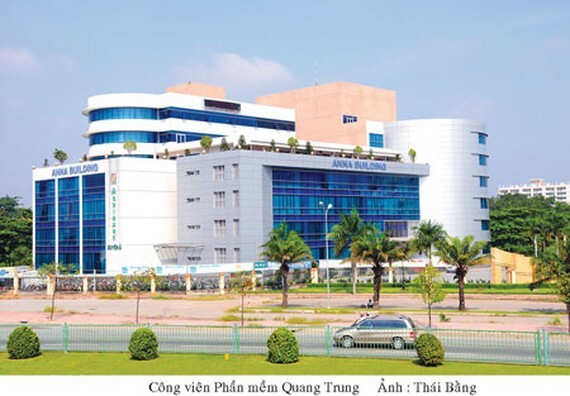 The chain will include four members by 2020 but at present, it includes two initial members, including the QTSC and the Ho Chi Minh City-based National University’s IT Park which will join hands in building comprehensive infrastructure, raising investment attraction capacity and boosting the development of the IT sector, said Lam Nguyen Hai Long. QTSC will play the active role in attracting investment in IT sector while National University’s IT Park will implement start-up activities. 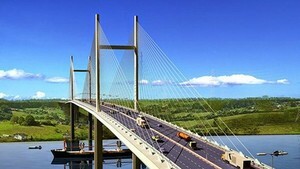 Besides, it will consider proposals of Da Lat and Tien Giang to join in the chain. Mentioning to QTSC’s development in particular or software sector industry in general, then Vice Chairman of the Government's Office Le Manh Ha used to suggest finding new place for the second QTSC. This suggestion is not hard to do because lately, QTSC said it proposed the city authorities to build some more research and development centers with the aim to attract labs and multinational IT corporations so that QTSC will become a specific zone for making research and technology transfer. General Manger Lam Nguyen Hai Long said this was orientation for near future but at present QTSC’s scale should be expanded to attract investment and develop market in the country and in the globe. However, while expanding it, it should take heeds to cut down cost of infrastructure and internet. Members of the chair have been directed to grow its competitiveness competence in calling for investment in software industry. Nevertheless, Mr. Long said that the chain is served as precedent for next ones. It is one smart economic model that requires more thorough study. QTSC management board and its members are going to tour other countries to learn lesson of training activities, building major products and promotion activities to attract investment in the chain, learn how to build brand name for the chain.